Seating For Seven. Better For All. Upgrade your daily adventures around Colorado and beyond by getting behind the wheel of the stunning new 2019 Hyundai Santa Fe SUV. Take a test-drive now at our Hyundai dealership near Denver, CO, to explore the new 2019 Santa Fe interior and learn all about the Hyundai Santa Fe redesign. From premium features and advanced technologies to smooth handling and innovative safety systems, the new Santa Fe SUV is the complete package. Visit McDonald Hyundai to find the 2019 Santa Fe price that works for your budget! 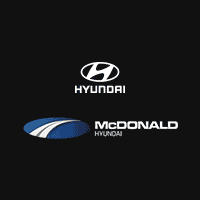 Whether you want to lease a new 2019 Hyundai Santa Fe Limited or buy a new Santa Fe SE, you’ll find just what you need at McDonald Hyundai. From 2019 Santa Fe lease options to a wide range of Santa Fe trims, we have something for everyone!